Come celebrate the release of the first album by The VaudeVillains at Red Light Café! This overdue (their words!) debut of Cody Jung's and Kris Anderson's newest guitar escapade explores the boom-chick thumb-style of Merle Travis and Chet Atkins with an all original lineup of nine self-authored instrumental songs. Every song on this twang-driven record harkens back to some of The VaudeVillains' greatest icons and influences; the entire time never forgetting their own personal touch! The VaudeVillains will take the stage at 9pm, with additional performances throughout the evening by Chad Shiver (8pm), Alias, Smith & Owens (10pm), and Bennie Gray & The Trailer Park Cowboys (11pm). The VaudeVillains are an Atlanta based western swing/country fingerstyle combo that are all about the toe-tapping sounds of nudie suits and twangy guitars. With a combination of extreme deference for the fingerstyle masterings of Chet Atkins, Merle Travis, Jerry Reed and the like, as well as other 1950's/1960's Nashville swingers like Hank Garland, Grady Martin, and Joe Maphis, The VaudeVillains will bring you back to a time when pickin' and grinnin' were requirements. These southern gentlemen will leave you with the smell of Georgia pine trees in your nose, the taste of Tennessee sweet tea in your mouth, and the love of Kentucky coal country in your heart! Alias, Smith & Owens' style is a unique and appreciated change from today's country music. 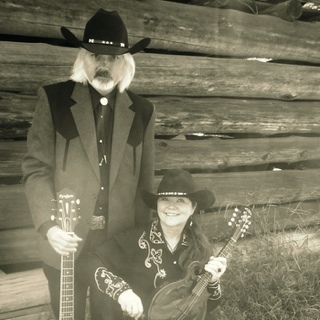 Performing songs that go beyond the borders of traditional western music and ballads, they keep the cowboy spirit alive through their original music and Old West flair! Bennie Gray & The Trailer Park Cowboys are a rowdy bunch of seasoned musical rejects from the Dirty South concerned more about country than western, and more about roll than rock. Their songs are about real life, spinning tales of broken hearts and busted bottles, murder, infidelity, good times, bad times and – yes, even redemption.